FAG TAPES: NEW PLEDGEMASTER "GET ON THE BED PIG"
NEW PLEDGEMASTER "GET ON THE BED PIG"
FT353 NEW PLEDGEMASTER "get on the bed pig" - cassette. Power electronics. Harsh brain hemisphere hatred. 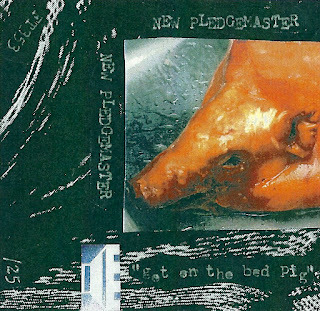 Two tracks from the 2006 tour only edition cd-r with cooked pig artwork (edition of 20). Additional studio tracks dated 7-3-08 and a live set dated 8-5-08. Drowning out life with a love/hate relationship toward music. The question is: does empathy even exist? Can empathy be a negative quality? Get on the bed pig. Highly recommended, top quality release. 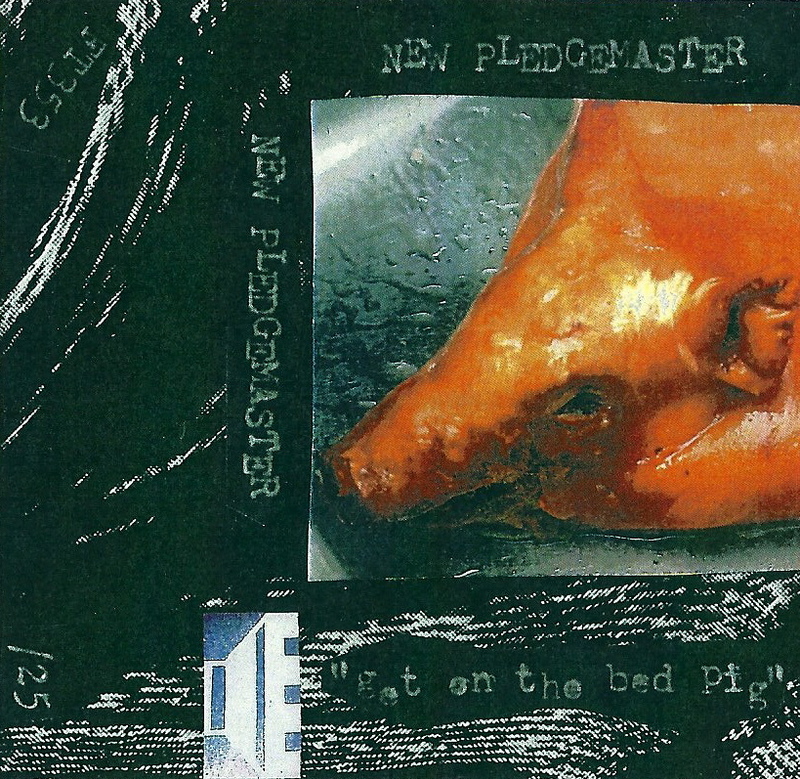 Hand numbered limited edition of 25.
listen: NEW PLEDGEMASTER "get on the bed pig"